This activity consists of 25 worksheets each with seven factoring quadratic trinomials problems (some are where a=1 and some are where a> 1) that correspond to a color. Each worksheet has a "piece" of the overall picture and each worksheet has different problems! 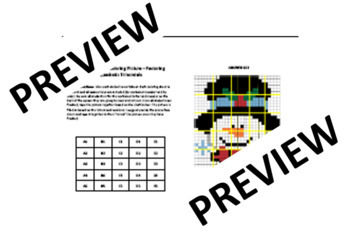 After factoring each quadratic trinomial and then coloring the squares, students will cut out their piece and then put together the picture as a class with tape. I have found this activity to be quite effective in more ways than one my classroom. Many students encourage others to "finish up their work!" so they can see the final picture. 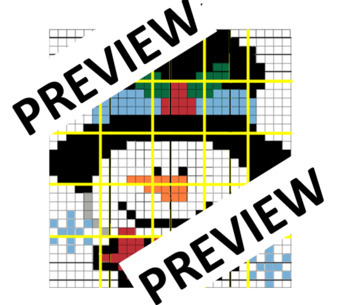 This final picture is Winter themed and is a snowman when put together. I suggest you put the picture together with the pieces facing down and tape on the back. This way you can lift up the final product to reveal the picture!